Recording is my speciality, and it’s often the most difficult part of the production process for musicians. I bring experience and passion, not to mention equipment and a creative space, to a project, allowing you to focus on making music. Booking studio time at my personal studio (Badlands) or at another local Portland studio. 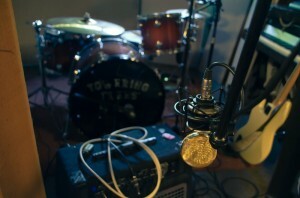 Microphone setup, signal routing, and effects processing in order to get the sounds you want. Creating a comfortable and productive recording environment so that you can make your best music. Running Pro Tools (with or without an audio console) during your session and making any necessary edits before moving on to mixing. Some of the most powerful moments in my life have been witnessing talented musicians perform together in a great sounding room. While experiencing electrifying performances as a spectator is great, helping those same musicians to capture that performance so they can share it with others is even better. I love working with musicians to bring their compositions to life. In some cases, you might want to track live, and other times layering overdubs might be more appropriate. My belief is that whatever method will best serve your unique creative vision is the best choice. It is my duty to help others experience that vision through recording. 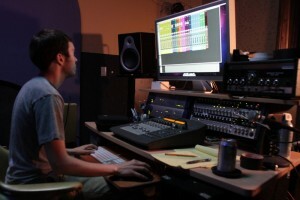 Preparing your recorded tracks for mixing by cleaning and organizing Pro Tools session files. Blending and balancing your tracks to create a cohesive sound that effectively expresses your intentions for the song. Maximizing excitement and vibrancy while leaving room for the mastering engineer to prepare the tracks for release. 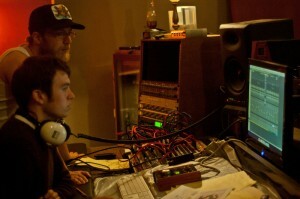 Making fine adjustments to ensure that you are completely happy with your mix. Once your raw ideas have been expressed and captured in the recording process, there often remains work to be done. I treat the mixing process with the same reverence as I do the act of recording, keeping your vision and creative desires in focus at all times. This requires intense listening, both to the composition itself and to your feelings about the composition. When I mix, I try to create a sense of movement and evolution that is appropriate to each unique song. My goal is to mimic a musical performance: practiced and technical yet organic and unconfined. Providing honest and constructive feedback on recorded sounds and mixes that have been created elsewhere. Developing a detailed plan for your recording project as a whole, from song selection and instrumentation to approval of final release masters. Troubleshooting acoustic issues in your recording, mixing, or practice space. Selecting equipment to purchase for your personal recording or performance setup. Every facet of music creation is important to me, and I look to get involved in any way I can. I realize that many musicians work best on their own, and that your home studio is your most sacred creation space. Sometimes though, solitude can lead to loss of focus, or an endless struggle with a particularly difficult sonic or technological roadblock. If this ever happens to you, get in touch and I will help in any way I can. Often times an outside observation is enough to kick start a stalled project. From the planning stages of the recording process to final mix tweaks, I can offer technical advice or an open and enthusiastic ear in order to help your creative vision flourish. Even if it doesn’t fit neatly into one of these categories, I would love to talk with you about your music or audio project. I will help in any way that I can. Please get in touch.